PLEASE NOTE: Our office will be closed on April 19th in observance of Good Friday. 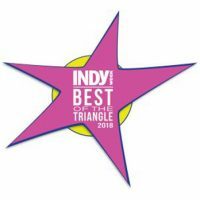 Best of The Triangle 2019! 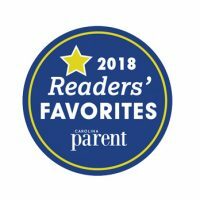 We are very excited to announce that not only has Arbor OBGYN been nominated for Best Women’s Health Practice but our very own Dr. Carter Gray and Dr Philip Deibel are finalist for Best Women’s Health Practitioners in Wake County. 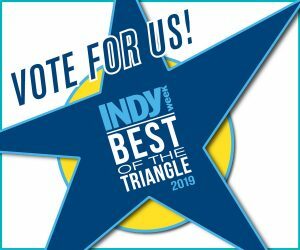 Please vote for us by May 5th! At Arbor ObGyn, we provide both routine and specialized care to women in obstetrics and gynecology. 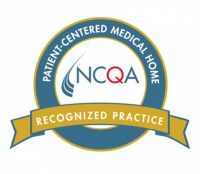 We provide individualized medical care to each patient, and we believe in treating each patient with gentleness, dignity and respect. Our providers include five board certified obstetrician/gynecologists and four nurse practitioners. We are accepting new patients, and we accept most insurance plans. We trust you’ll find our office to be friendly and helpful. We love what we do and hope that we can be of good service to you. "Such an attentive and friendly staff. I love doctors that don't make you feel rushed and answer all of your questions." "I have had the best care experience at Arbor from start to finish with my pregnancy. All of the doctors here have gone above and beyond to make me feel comfortable and cared for, reassured in my pregnancy and birth experience. Dr. Alvarez delivered my daughter via repeat c-section, and not only did I feel safe and reassured, he made it a happy and positive experience. I felt very little pain after this c-section, even after I stopped taking pain medication. Oh yes, must also mention the front desk ladies and nurses who were so wonderful at every single appointment." "I love Arbor. They are very responsive to any issues/concerns I may have and have been helpful with everything. Everyone in the office is nice including the providers." "I have had three babies with Arbor and every single doctor there was absolutely wonderful! I never once felt rushed during an appointment and they always made me feel very comfortable!!! Love Arbor!" "I love the staff here at Arbor. I love the open communication they have and Dr. Gray is awesome. I’ve been a patient for a few years now and I don't plan to go anywhere else." "I've been at this practice for over 15 years and it has been the happiest place for me and my health." "Love this group! They definitely made pregnancy a breeze for me. Not only did they monitor baby, but they also made sure I was okay as well. It was never a time when I felt like I wasn't an important patient. The front desk staff is always friendly and welcoming. ALL of the providers are just great! During labor, Dr. Alvarez took time to just sit and talk and get to know me and my family. Nothing was ever rushed with this practice. Highly recommend!" "I’ve been SO well cared for by Arbor staff & doctors through three pregnancies & deliveries and beyond. I highly recommend Arbor!! They truly have the best interests of both moms & babies in mind!!" You’re at the right site! Atrium ObGyn is now Arbor ObGyn.